Computer scientists Peter Naur has passed away. You can imagine how error prone it was to specify syntax of new languages and systems before this notation was adopted. Imagine explaining either of those diagrams by writing a paragraph in English. Now imagine dozens of people trying to implement the language based on this description and all coming up with slightly different variations, each slightly incompatible. That was the world. You can see BNF notation all over the place. 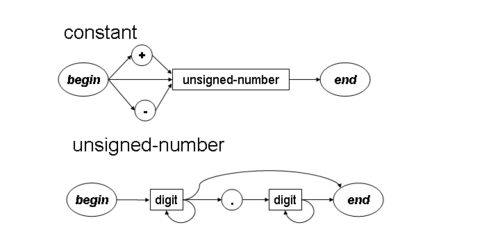 Even IETF internet RFCs include BNF notations to accurately describe protocols. Naur won the 2005 ACM A.M. Turing Award for his work on defining the ALGOL 60 programming language. You can read more about him on the wikipedia page about him.